If you are planning a kitchen remodel, you've come to the perfect place. The expert designers in our bathroom and kitchen remodeling company will help you design the kitchen of your dreams. 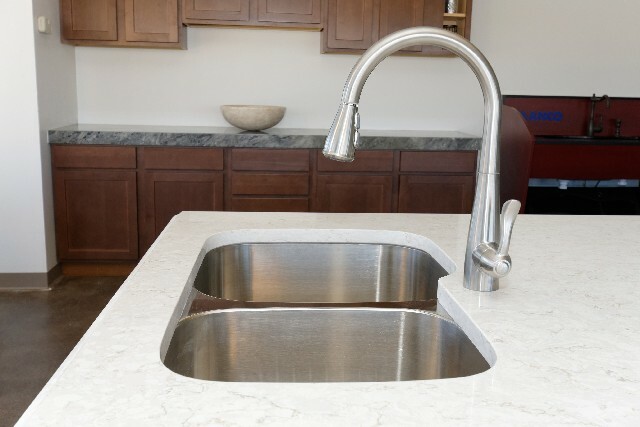 In addition to custom countertops, we offer an array of sinks and faucets. Call our design team today at 303-779-3641 or visit our home remodeling showroom, located in Centennial, Colorado near Highlands Ranch. We'll help you create a kitchen you'll love to live in.